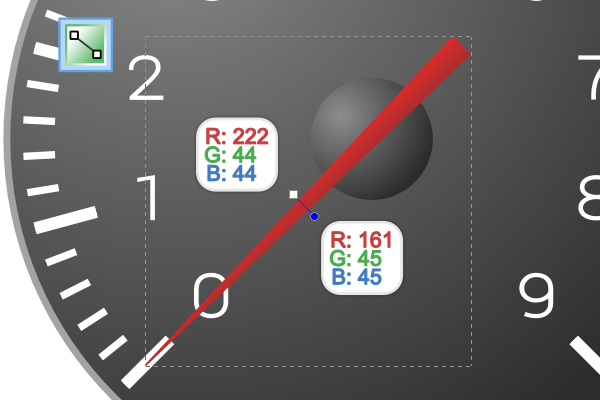 Learning how to draw a tachometer is pretty tricky by itself. 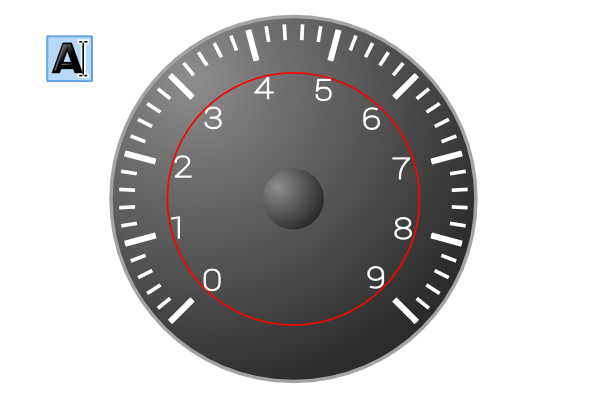 There’s so many difficult details such as spaced numbers, that little red needle, and those pesky curved measurement lines. 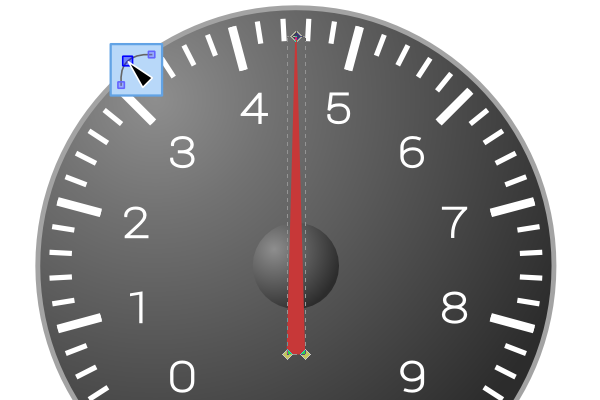 Fortunately, we’re going to go over the absolute easiest way to draw an rpm gauge in Inkscape! 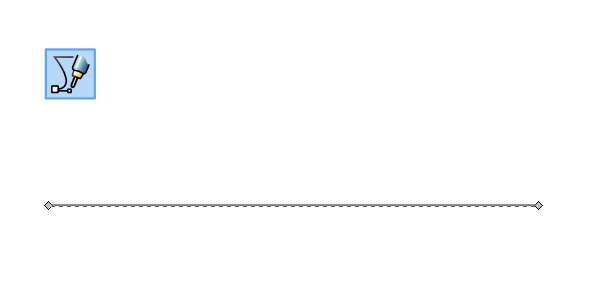 To start, simply draw a straight horizontal line with the Pen tool that’s exactly 496.500 px long. 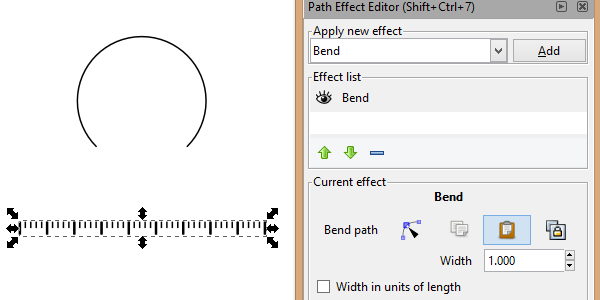 With the line still selected, head up to Path > Path Effect Editor. 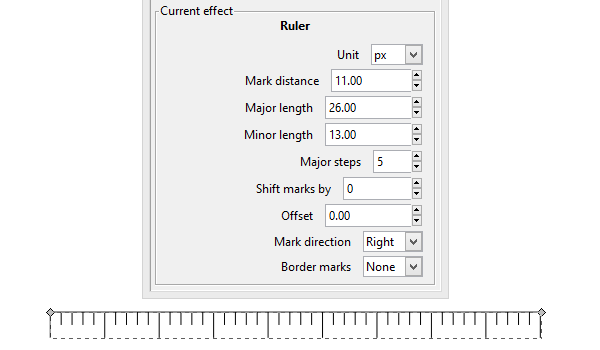 The dialog box will pop up and what we want is to add the Ruler effect. Go ahead and adjust the settings to how I have them below. You’ll see perfect measurement lines appear right before your eyes! After that, copy and paste another one and set Minor length: 0 this time. Go ahead and select both of these rulers and head up to Path > Object to Path to convert these to editable objects. What we’re trying to do now is remove the main horizontal line within these rulers. Unfortunately, there’s no option for this, but there’s an easy way… but it may be hard to explain. Grab the Nodes tool and drag over the top right part only. Now shift+click that bunch of nodes once to deselect the first node – the node below will remain selected. Simply hit Delete and that horizontal line should disappear. If done correctly, you should have ended up with this. Repeat this process for the other ruler so that you end up with this. The reason we made 2 of these rulers was so that we could have the main marker lines at a thicker stroke than the middle lines. With that in mind, use Align and Distribute to align these perfectly over each other and add strokes accordingly. Now it’s time to curve our rulers. 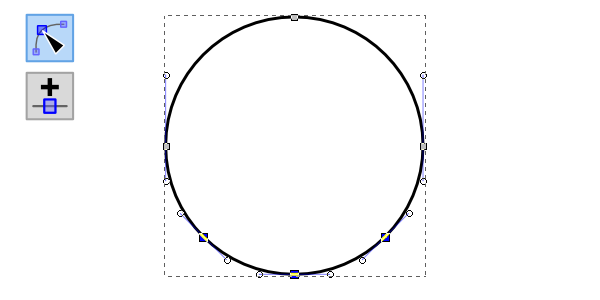 Let’s grab the Ellipse tool and draw a perfect circle at about 235px by 235px. 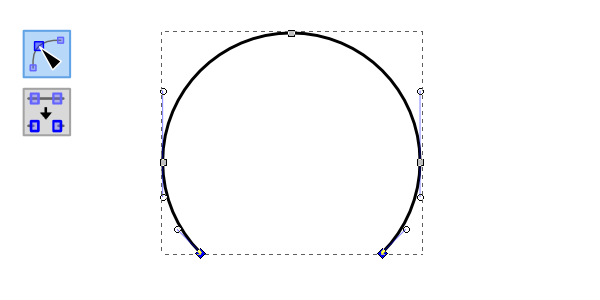 Also select Path > Object to Path so that we can edit this circle next. Grab the Nodes tool and select the left, right, and bottom nodes. Now you can select Add nodes to create the extra nodes you see below. Let’s also select the bottom 3 nodes while we’re here. 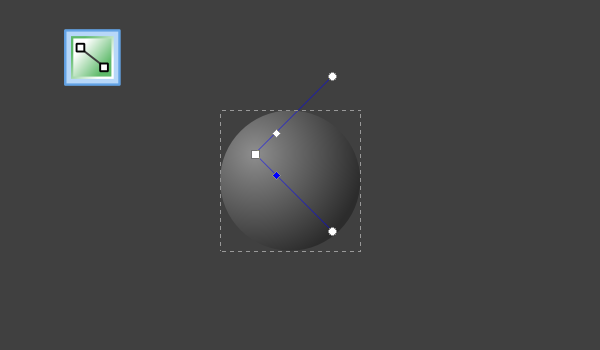 Now select Delete segment from the nodes toolbar to get the shape shown below. Next, copy the circle segment to the clipboard and head over to the Path Effect Editor again. Let’s select one of the rulers and add the Bend effect. Go down to the Bend path options and select Paste path to make the magic happen. Repeat this with both rulers, by the way (separately). Tada! How incredible is that? Thanks, Inkscape! 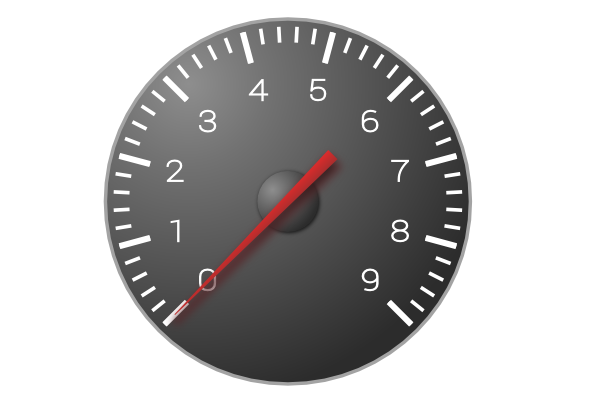 Now it’s time to draw the actual gauge, starting with a perfect circle, of course. 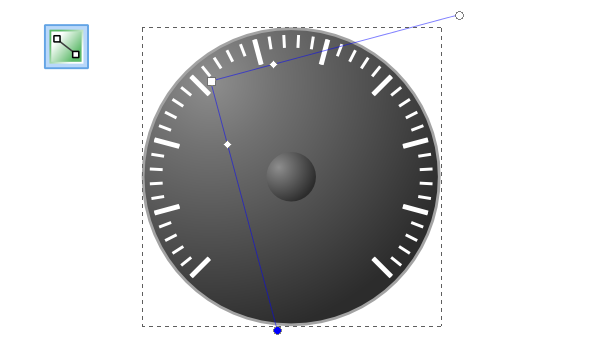 Use Align and Distribute to get it centered to the measurement lines. Let’s give the circle a dark gray base color, along with coloring the lines white. 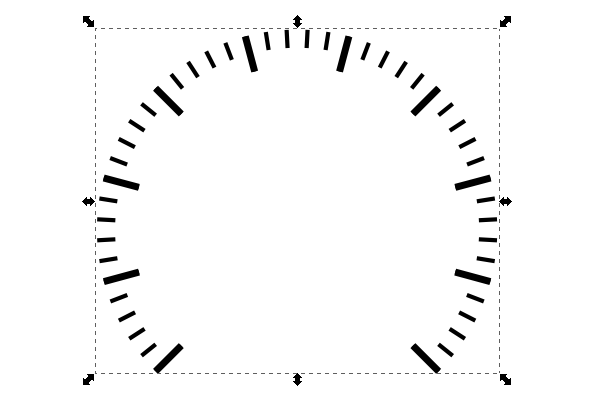 Draw another small circle in the center for the needle. To add some depth, let’s add a Radial gradient of lighter and darker grays. While we’re at it, let’s do the same thing to the large circle. Now we need to add some numbers, from 0 to 9. Again, Align and Distribute will be pretty helpful, but as you can see below, I also drew a red circle to help keep everything aligned. For the actual needle, start with a thin rectangle. Do yet another Path > Object to Path for further editing. Grab the Nodes tool to pinch the tip closer together (but not touching). I found that a triangle was just too sharp. 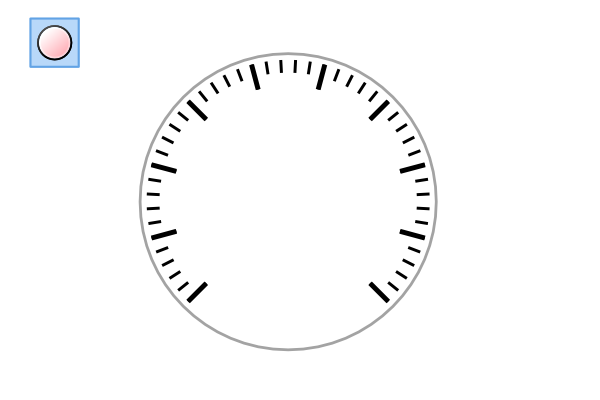 Now I’m going to rotate the needle down to 0, along with add a Linear gradient. 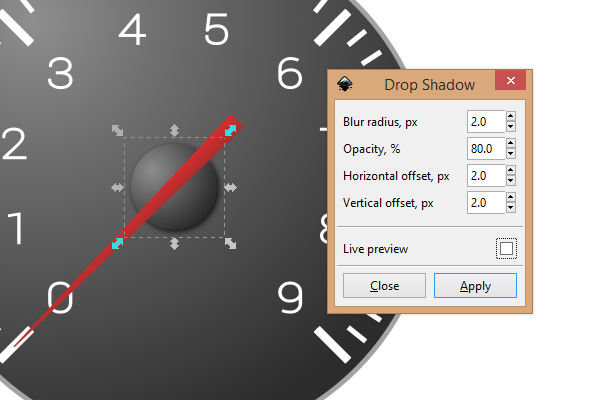 Select the small inner circle and add a nice Filters > Shadows and Glows > Drop Shadow to it. Now we need to add a shadow to the needle, but not a drop shadow. Copy and paste the needle and add a 5px Stroke to it with a dark red outline and an even darker red fill. 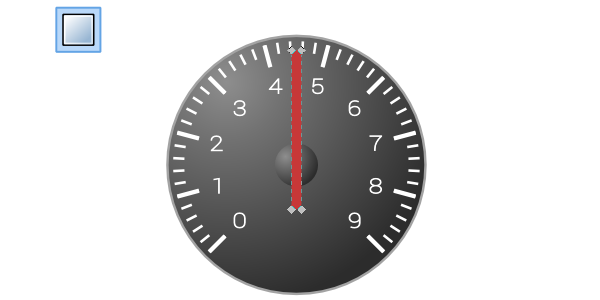 Add a Blur: 5 and an Opacity: 80 to this shape and position it under the actual needle. This will double as a reflection and a shadow. 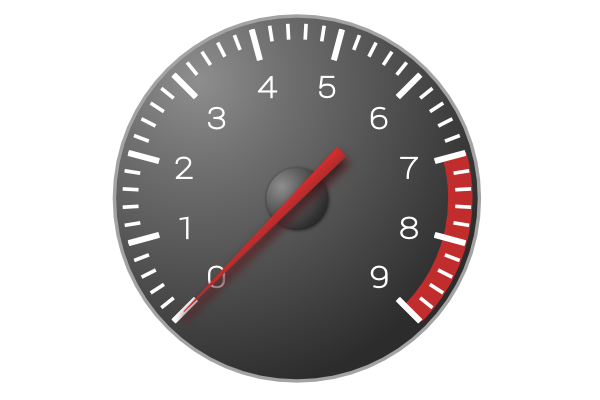 And finally, we need to add a red rev limiter to the gauge. 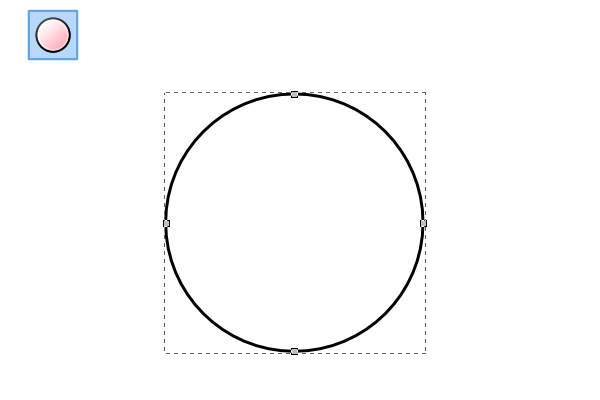 Start by drawing another circle with a thick stroke and no fill. 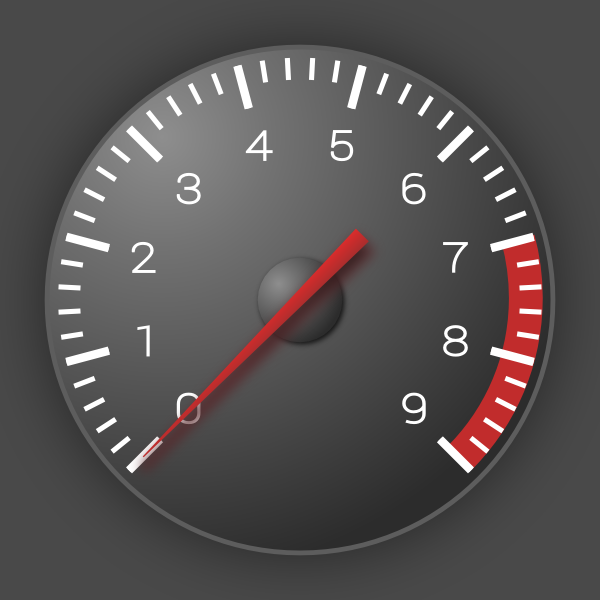 Center it over the entire tachometer. 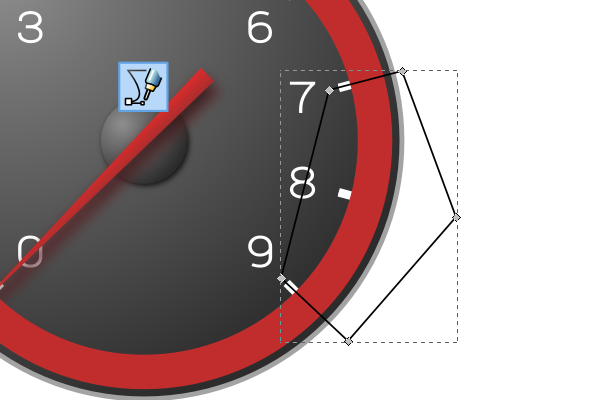 Since we only want the red limiter to be at 7 to 9, grab the Pen tool and draw a shape like I have below. We’ll be doing some boolean! 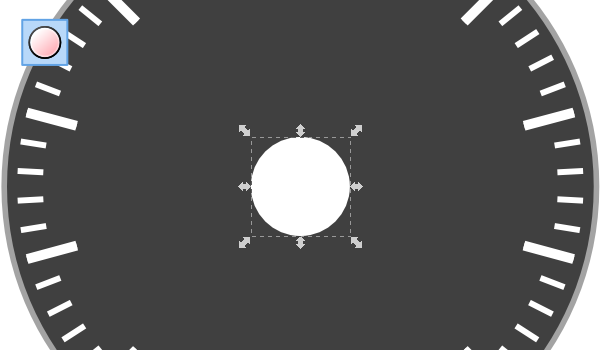 Select the new shape along with the red circle outline and head up to Path > Cut Path. 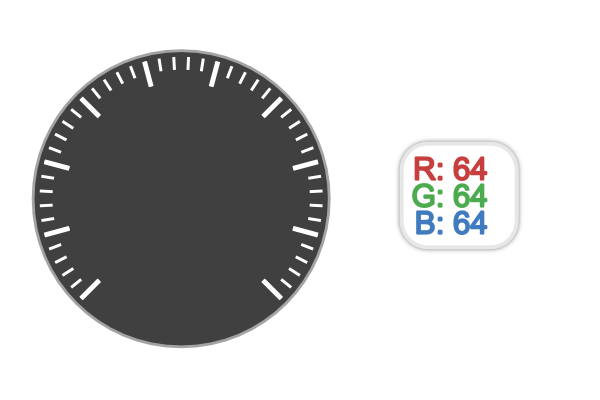 You can now delete the remainder of the circle that we don’t want, but keep the segment we do want and place it below the measurement lines. All that’s left to do is add some sort of background. 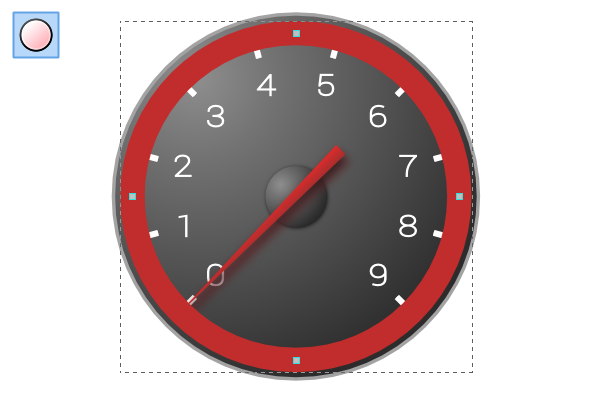 This tachometer tutorial was really awesome to do because of using Inkscape’s incredibly unique features to create a professional result. 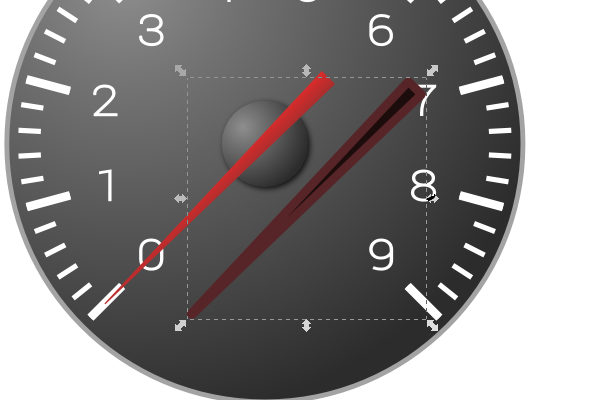 Using the Path Effect Editor along with Rulers and Bends is no simple matter on Inkscape’s part, but it sure made drawing an rpm gauge easy to do! Thanks for reading.